Here in Metro Vancouver, the early warmth has meant an early bee season; by all accounts, blooms are around 3 weeks ahead of schedule. The first swarms are taking flight, as bee populations suddenly start to expand! 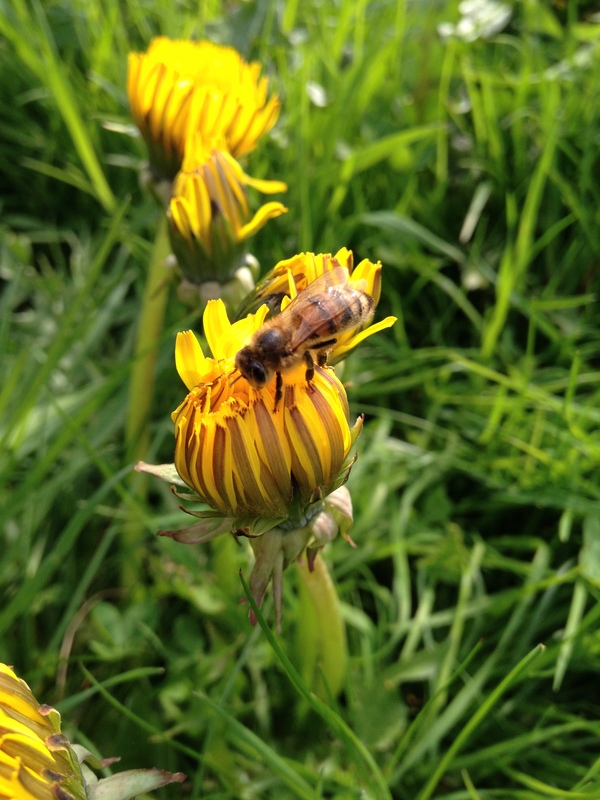 Our bees are collecting nectar from the major dandelion and maple nectar flows happening now, along with other floral sources like apple, blueberry, and cherry. Soon, trees like horse chestnut and black locust will be in full flower–great bee trees! Gardens in the city are blooming, and our bees are loving it! This entry was posted in bee talk, What's blooming on April 21, 2015 by propolismusic.